Mumbai, October, 2014: As a part of their constant expansion and innovation, Whistling Woods International (WWI) opens for admissions for the batch that starts in January with its unique post-graduation programmes – Diploma in Filmmaking, MBA in Media & Entertainment+PG Programme in Media and Communication and Diploma in Acting. The admissions interview and entrance exam for the same will be held on November 1. The last date for application is October 30. 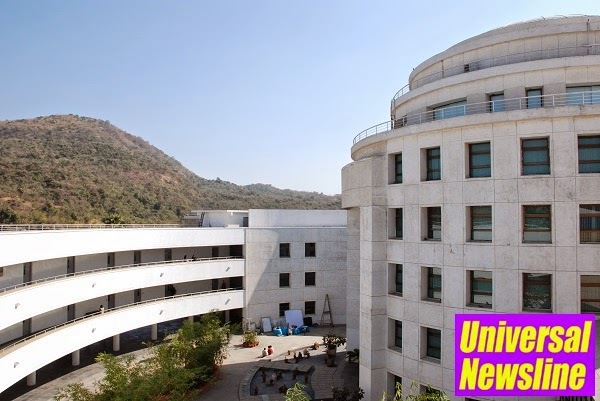 India’s most renowned school of media and communications provides best-in-industry placements. For the third time WWI has been ranked amongst the top ten film schools in the world by the Hollywood Reporter in July 2014. Meghna Ghai Puri, President, Whistling Woods International, says “We aim for the graduates to have leading careers and hence, focus on bridging the gap between students and the professional world through its unique teaching methodology that combines theoretical education with practical training. Icons from the fraternity regularly conduct Master Classes to share their expertise with students." Diploma in Filmmaking immerses participating students in each filmmaking craft. Through guidance from industry experts and interactions with global filmmakers, students both practice and study screenwriting, producing, directing, acting, cinematography, editing, sound design, film appreciation, production design, the aesthetic use of music in productions, literature, art history and cinema studies. Students are encouraged to create their own unique story development and filmmaking perspectives and vision. MBA in Media & Entertainment+PG Programme in Media & Communication gives students an understanding of the key industries within the Media and Entertainment industry including Film, Television, Radio, Advertising, Journalism and Public Relations. The programmes explain the key pipelines for this industry as well as the growth areas and opportunities within them. In addition to this, key business disciplines are introduced with a keen focus on the media industry including Management, Accounting and Organizational Behavior. Diploma in Acting is an intensive and practical programme that teaches the art and craft of acting for cinema ensuring that students are carefully nurtured and their individual abilities and talents are honed and trained. Our aim is to produce imaginative and skilled actors each with a unique identity and method of approaching a role and creating a truthful character. Being a practical programme, students spend a lot of time shooting monologues, scenes and student films, all of which are filmed and critiqued by the faculty.